Local Commack resident, Jason Zove, promises leadership and fresh ideas. Commack, NY - April 1, 2014 - As campaign season is officially underway, the Eighth Assembly District, which encompasses the Town of Smithtown and the northern portion of the Town of Islip, will be introduced to a fresh face and bold new ideas as Commack resident Jason Zove gears up for a battle in the Eighth Assembly District. Zove has developed his passion for public policy while serving as a Community Liaison and Legislative Aide in the Suffolk County Legislature since 2010, working for Presiding Officer William J. Lindsay followed by current Legislator Bill Lindsay III. Zove promises to continue his commitment to public service, growing our local economy and bringing fresh ideas and more accountability to the New York State Assembly. 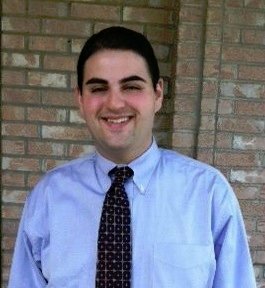 Zove, a graduate of Commack High School, was a dual major in Secondary Education and History at Hofstra University and earned his Master’s Degree at SUNY Stony Brook. Subject: LongIsland.com - Your Name sent you Article details of "Zove Announces Candidacy for NYS 8th Assembly District"